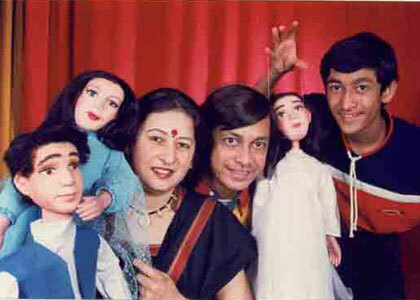 With Ramdas Padhye and his puppets becoming a household name in 1980’s, the ad-film makers and advertisting agencies were keen to use this new medium of ventriloquism and puppetry to sell their products.Since then advertising industry has been using Ramdas Padhye and his various characters to capture their histrionics in the Mad-AD world. 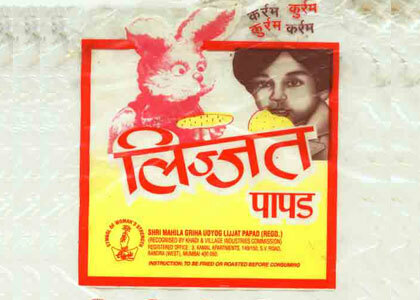 The most popular advertisement till date which made Ramdas Padhye a household name is the Lijjat Papad Commercial in the year 1980 which used his popular character “Bunny the Funny” who was shown munching a packet of papad with the trademark laughter at the end of the commercial which still resonates a great brand recall even today in the minds of the consumers. 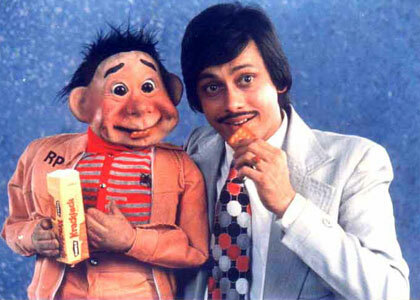 Parle’s Krackjack biscuit roped in Ramdas Padhye as their Brand Ambassador in 1980’s which featured him as the Ventriloquist arguing with the puppet about the taste of the biscuit. 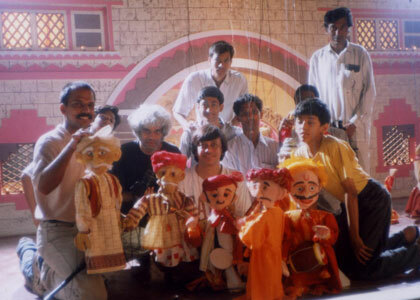 Ramdas with his team of puppeteers shooting the Annapurna Salt Commercial which featured 15 marionette puppets.This award winning commercial was directed by Gyan Correa in the year 2000. 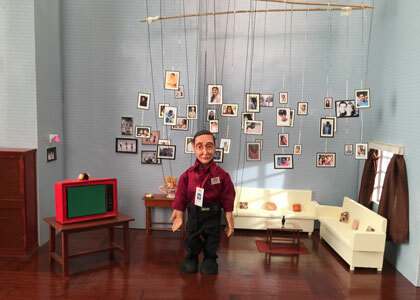 We all know that Aamir Khan is a perfectionist. 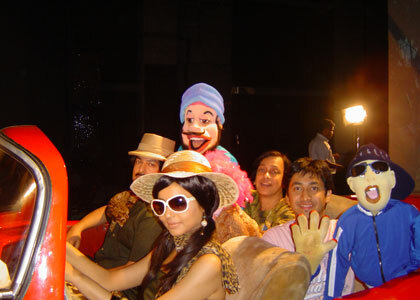 Whether it is a film or an ad-film Aamir likes to get into the skin of the character. 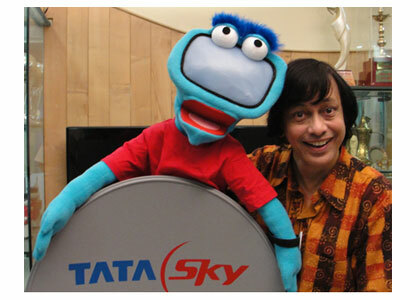 And hence when he was approached by Tata Sky to play the role of the Ventriloquist he expressed his desire to learn the art from Ramdas Padhye. 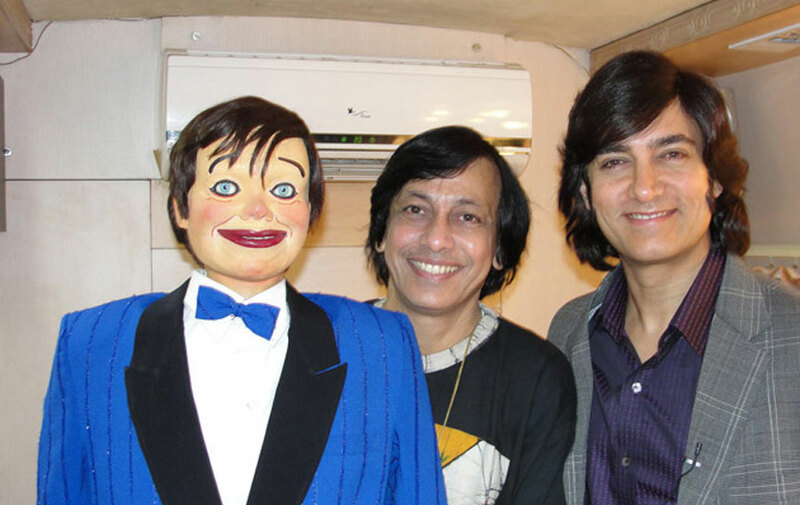 Ramdas recalls his meeting with Aamir “When I met him first he was equally excited.This is because he use to watch my shows in his school days. 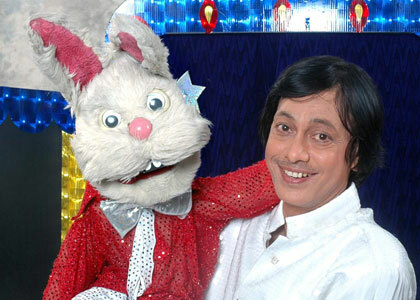 It was like a nostalgia for him.He perfectly remembered my show on Doordharshan. 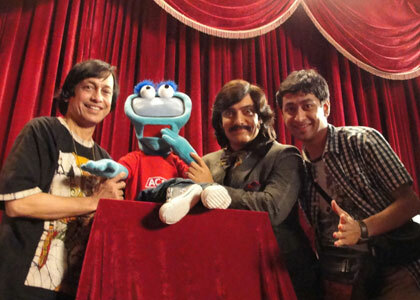 He told me that he use to write the timing of my shows in his school notebook and watch it without missing any episode.He also told me that he wanted to see the famous puppet “Ardhavatrao” which I use to regularly perform with.” Aamir wanted to learn the nuances of Ventriloquism from him.He actually asked Mr. Padhye the steps as to how to perform.But ventriloquism being a difficult art, cannot be mastered in a day or two.So Ramdas actually operated the puppet while Aamir just imitated as a Ventriloquist.But Aamir being a perfectionist asked Mr.Padhye to give one puppet for practice.Mr.Padhye also gave him his book called “Inner Voice – A World of Ventriloquism in India and abroad” so that he could actually understand the technique. 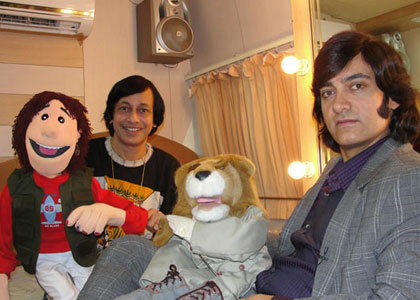 Mr.Padhye said “A Ventriloquist has to be an actor.And Aamir is a fantastic actor. 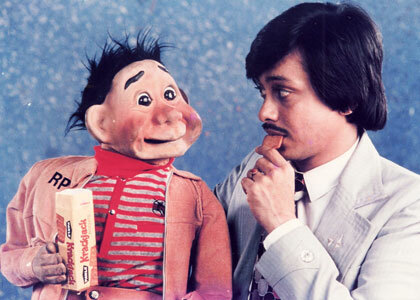 In Ventriloquism, there needs to be a great rapport between the puppet and the ventriloquist.The action and reaction is very important.Also when the puppet is actually speaking, the ventriloquist’s mouth position is very unique.That look is peculiar when the ventriloquist is speaking in the puppet’s voice.Aamir perfectly captured that look.I think this was the most challenging part.This was the real essence of ventriloquism because although I was operating the puppet from below sitting inside the table, the audience should always feel that Aamir is operating the puppet and is actually doing ventriloquism. 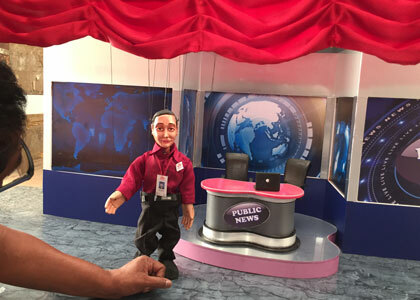 So me and my son Satyajit Padhye explained him basic techniques of ventriloquism which he perfectly mastered.” As we all know Aamir also experiments with different kinds of looks in all his movies and ad-films. 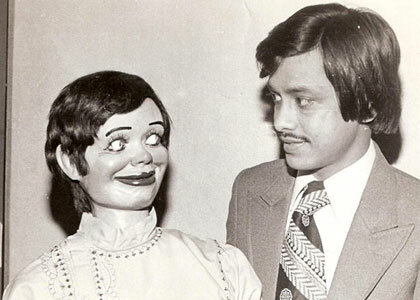 So in this ad-film also he chose Ramdas Padhye’s popular look of 1970’s.He wanted people to immediately recognize that he is playing a ventriloquist. 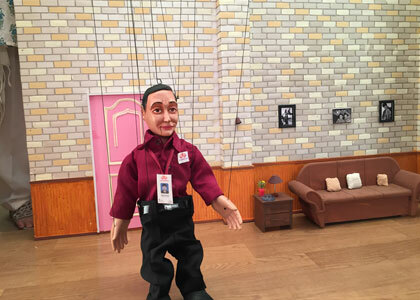 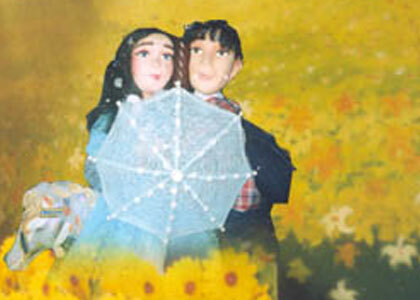 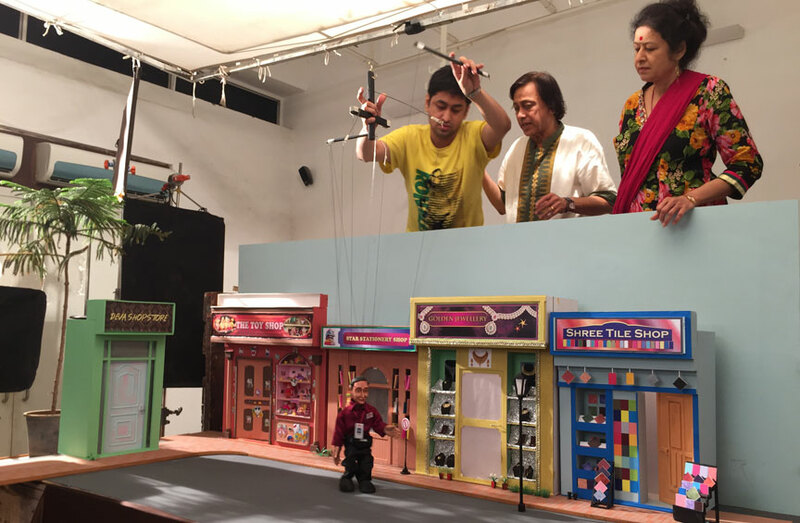 AD-Film for Janalaxmi Bank with Marionette puppet and miniature sets. 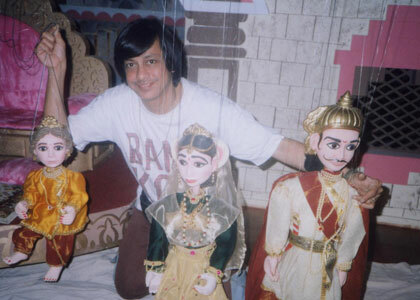 With Ramdas Padhye, not only being a Ventriloquist, but a skilled puppeteer and puppet-maker, he has been creating, designing custom designed puppets in his puppet studio as well as executing the ideas of the film-makers, directors by operating these puppets with his entire team for several music videos and short films. 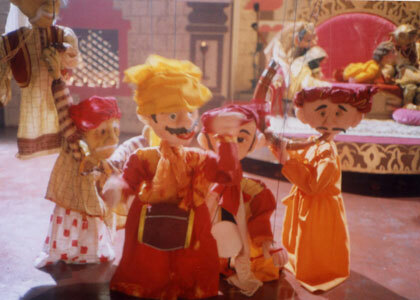 Music Video “Maine Payal Hai Chhankai” by Dandiya Queen Falguni Pathak featured Ramdas Padhye’s Puppets which were designed and operated by him, his wife Aparna and son Satyajit.This music video became hugely popular in the year 2000. 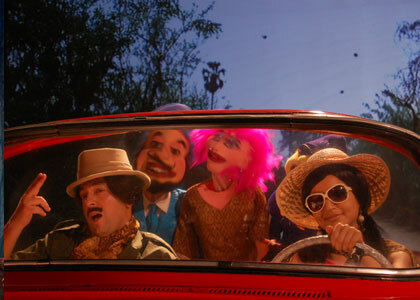 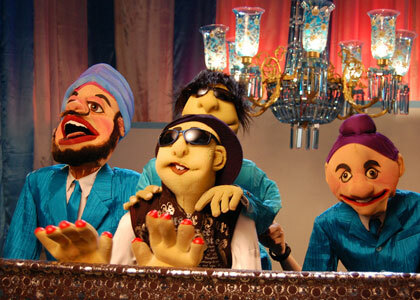 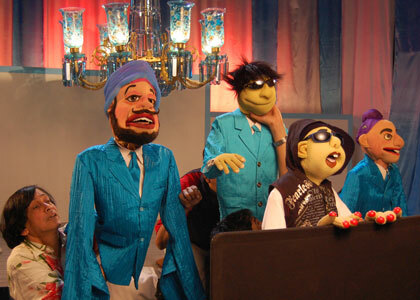 Music Video “Hindustan Di Kudi” directed by Ben Rekhi used 10 to 15 puppets skillfully operated by Ramdas Padhye and his team of 10 trained puppeteers which truly sets a benchmark was using the puppetry as medium of entertainment in music videos. 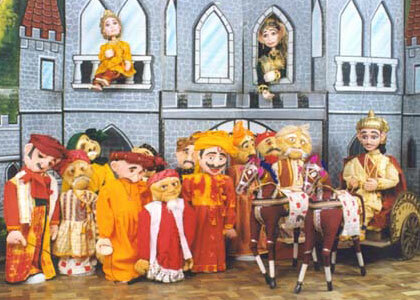 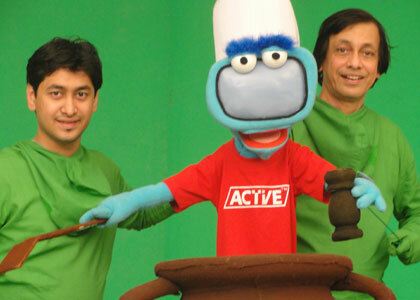 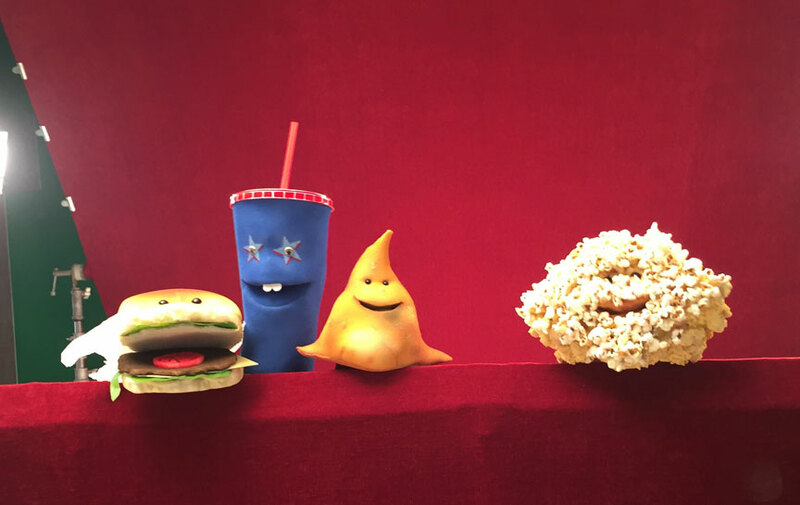 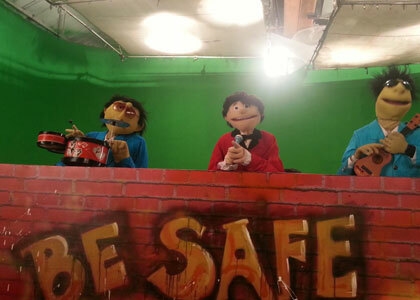 With shows specially created for on-line video platforms like YouTube, Ramdas has designed several puppets for various web based shows.